Former The Bachelor star Juan Pablo Galavis apparently wants a baby with his wife Osmariel Villalobos -- desperately. Juan Pablo and the Venezuelan beauty queen and model got married in August 2017, and now the former Bachelor is more than ready to have a child together. "I am trying to find a way to trick [her] into getting pregnant," Juan Pablo, 37, admitted to Us Weekly. "I want to have more children." The former professional soccer player is already a dad to daughter Camila, 10, whom he welcomed with ex-girlfriend Carla RodrÃ­guez. 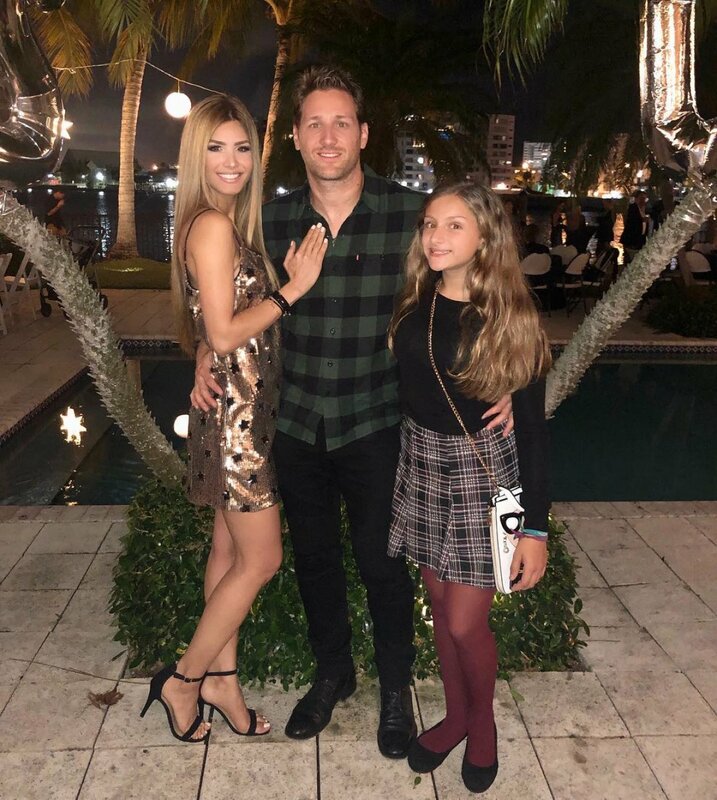 But regardless of whether the happy couple welcome a baby in the near future or not, Juan Pablo gushed about how his marriage has been "fantastic" over the last year. "Everything is good," he said of life with Osmariel. "Having someone to spend time with every day is great." Juan Pablo, who starred on The Bachelor's eighteenth season, reportedly began dating Osmariel in Summer 2016. In March 2017, sources told Us that Juan Pablo was finalizing his plans to propose marriage, as he had already picked out an engagement ring. The Bachelor franchise's only Latino man previously dated Nikki Ferrell, who had received his final rose. Juan Pablo and Nikki had a highly-publicized and criticized relationship following the finale of The Bachelor in March 2014, which featured an anti-climactic ending in which Juan Pablo told the Kansas City nurse, "I like you," and offered her nothing but a rose after months of dating. Many The Bachelor viewers disliked Juan Pablo during his season for how he treated the women, and those negative opinions spilled onto Nikki for choosing to be with him in light of those alleged flaws. After appearing on VH1's Couples Therapy together, Juan Pablo and Nikki split in October 2014. "I knew I was never going to be the No. 1 priority, like, he has a daughter. But I mean, there's a difference between being the second priority and the seventh priority. We're just different people and... we just never saw eye to eye on [things]," Nikki told The Bachelor host Chris Harrison in January 2015. Nikki eventually moved on and got married to Tyler Vanloo in October 2016; however, the pair reportedly split two years later. Juan Pablo admitted to Us his involvement with Bachelor Nation these days is slim to none. "It's been five years since I was on, so I don't really keep up," he noted.